Dhanbad: We all are well acquainted with the notorious Gangs of Wasseypur from Dhanbad and the credit goes to filmmaker Anurag Kashyap. How would you react if we told you that unlike the gang of goons on whom Kashyap’s much acclaimed film was based, there is another gang trying to etch a new image of the coal capital of India. An all girls gang of 20 school students christened as ‘Gang of 20 Water Leaders’ are busy reshaping the water contour of the city. Mind you, unlike the explicit spewing members of the Gangs of Wasseypur, these girls are fluent English speaking, convent educated girls. Yes, you heard that right. These 20 students of Carmel School, Dhanbad have been diligently working for the past three years to conserve water in Dhanbad. Thanks to Eklayava Prasad, of Megh Pyne Abhiyan (Cloud Water Campaign), for having organized a workshop, in Dhanbad, 2015. It was here that it all began with Carmel School having sent its students. In a way, this workshop gave birth to the Gang of 20 water leaders of Dhanbad. Eklavya, has working in the field of water conservation for over two decades now. A Master degree holder from Tata Institute of Social Science, Mumbai he has been extensively working for water conservation in Rajasthan and Bihar. 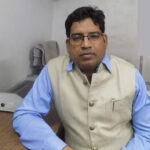 “I am from Dhanbad and I have always wanted to work for the betterment of my native place. During the time of united Bihar, this feeling was for Bihar. So after working in Rajasthan, I returned to Bihar and we started the campaign, Megh Pyne Abhiyan, where we specifically worked for five flood prone districts of the state,” revealed the water crusader. Megh Pyne Abhiyan or the Cloud Water Campaign works for sustainable and effective management of water centric activities with a simple belief – revive, innovate and institutionalize water and sanitation management in rural India. However, the water conservationist, before taking up the Dhanbad initiative, which was part of South Bihar during the united Bihar period, had long realized that the water situation of South Bihar was different from the North. Thereby, it conducted a national level workshop in Dhanbad, in the year 2015. 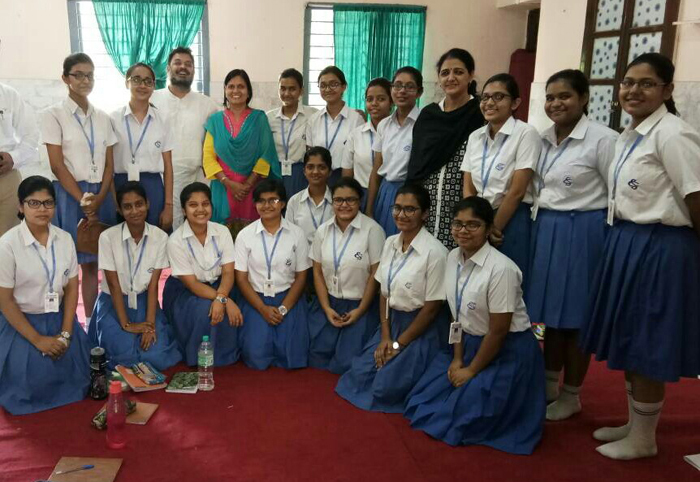 “The girls from Carmel School too had participated in this workshop. I was leading these girls. 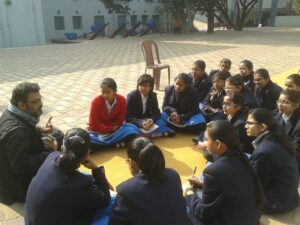 Interestingly, when the workshop got over, Eklavya proposed the idea of forming a group that could contribute towards it in Dhanbad,” recalled Sonali Singh, a teacher of Carmel School while talking to eNewsroom. The campaign was prepared in such a way that it stretched over the activity hours of the participating students. Care was taken for these tasks of being flexible and each participant was given sufficient time to complete the tasks. “One of the girl’s came up with the idea of calling our team – Gang of 20 Water Leaders. Initially, we considered it to be a temporary name for our group. However, later we realized that the name was matching with the Gangs of Wasseypur, a film which had brilliantly essayed the under bellies of Dhanbad. But it also had created a negative image about our city. Hence, we continued using the name to create a positive image of Dhanbad,” said Shreya Shrivastava, a standard XII student who has been part of the group since 2015 told eNewsroom. The most taxing task was for the group to visit hundreds of households in Dhanbad to know how much water was consumed on a daily basis. Realizing the importance of water conservation and harvesting, Carmel School has also decided to include it in their syllabus from next session. “We are working on it and from the next session, it will be part of the school curriculum for the student between class 6 and 12,” said Sonali. The school along with Eklavya is also working on the next group of the gang, as most of the members of the present group are in their transition phase and will soon be passing out from the school. So, all attempts are being made to ensure that the baton is passed on their successors. However, the seeds of a desire to conserve water have been planted in their minds of students like Amisha and Shreya, who wants to do Master in Business Administration (MBA), and Event Management respectively. However, one common thread that binds the members of the gang is that water conservation is now part of their life. And this is how a change is ushered in.